Forever beloved. Forever in your heart. Forever close to you. 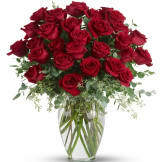 That is what this beautiful rose arrangement symbolizes. A shared life. Or a shared sacred moment. 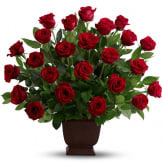 This bouquet is a loving way to honor those memories. 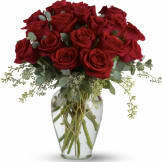 • Roses, roses and more roses are arranged with beautiful eucalyptus and a lovely ming vase. 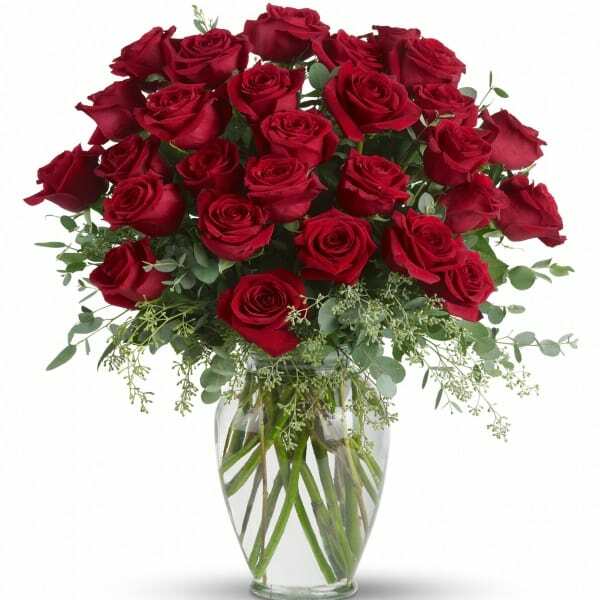 Say it with flowers, when no words will speak the feelings in your heart. 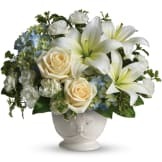 • Vase arrangement measures 20" W X 24" H.
Got to see a picture of the flowers that arrived from our sweet sister-in-law. Even prettier than those pictured. Thank you so much.